Provide comfort for the family of Catherine Johnston with a meaningful gesture of sympathy. Catherine Isabel Johnston passed away peacefully at Brucelea Haven Long Term Care Home, Walkerton on Wednesday, February 6, 2019 with family by her side after a valiant struggle with dementia. She was 78 years old. Catherine is survived by her son Jeffrey and granddaughters Claire and Alison of Ottawa, her daughter Andrea Fitzpatrick (Paul) and grandsons Owain and Colin of Edmonton, and her brother James Montgomery (Phyllis) of Burlington, as well as nieces and nephews. She is predeceased by her husband of more than 40 years Raymond, her mother and father Margaret and Clarence Montgomery of Southampton, her sister Karen Madill of Pickering, and her brother Jack Montgomery of Kitchener. Dementia deprived Catherine of her independence and freedom. It robbed her of her memories, her voice and the ability to care for herself. But dementia did not take away who Catherine was as a person during her lifetime. It left intact her values, traits and accomplishments as a daughter, sister, wife, mother, aunt, grandmother, friend, career nurse and colleague. It is for these things that Catherine will always be cherished and remembered by those who loved her. Catherine’s family would like to express their heartfelt gratitude to her physician Dr. Ziad Al Qaseer and to the nurses and staff on 2 South for their exemplary and compassionate care of Mom and Grandma during her final years. A special thanks also to Florence Gutscher, Diane Rys, Cheryl Nash, Joan Ernst and Marilyn Bast for their unwavering support of Catherine and her family during her difficult illness. In keeping with Catherine’s wishes, there will not be visitation or funeral services but instead a celebration of her life will be held on Saturday, May 25, 2019 from 1:00 p.m. until 4:00 p.m. at the Walkerton Golf & Curling Club, Walkerton. 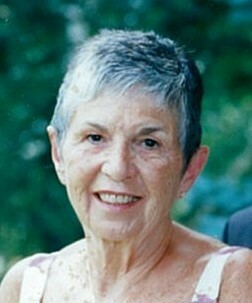 In lieu of flowers, donations are appreciated in Catherine’s memory to the Alzheimer Society of Canada. My heart goes out to you Jeff in your time of sorrow. Know that you are in my thoughts and prayers. 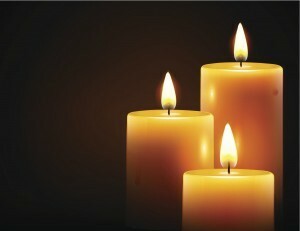 May the love of family and friends give you comfort in this difficult time. Our thoughts and prayers are with you all.